Tackling One Health from a multi-disciplinary perspective, this book offers in-depth insight into how our health and the health of every living creature and our ecosystem are all inextricably connected. This collection of critical population health topics, written by an international group of experts, addresses the technical aspects of the subjects and also offers potential policy solutions to help mitigate current threats and prevent additional threats from occurring. Beyond One Health: From Recognition to Results begins with a chapter describing epidemiology as the scientific basis for the One Health concept, with subsequent chapters covering emerging, infectious, and chronic diseases, environmental toxicant exposures, and food and water safety and security. It also covers One Health impacts in a changing climate; biodiversity and health; wildlife and companion animals and health; zoological institutions; the social cost of carbon; One Health education and public policy; and more. Each chapter proposes policy solutions, many of which are summarized in the concluding chapter, to move One Health thinking forward from recognition to results. 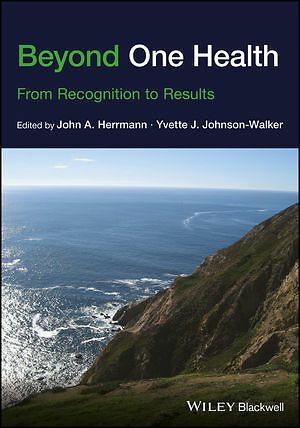 Anyone with an interest in the health of humans, animals, or the planet, from students and practitioners in architecture to urban planning, and many disciplines in between, will find Beyond One Health: From Recognition to Results to be a must-read text.